What could possibly be interesting about a screw? Yes, that’s what I thought. Until I started rounding off the heads and breaking them by screwing them into wood. 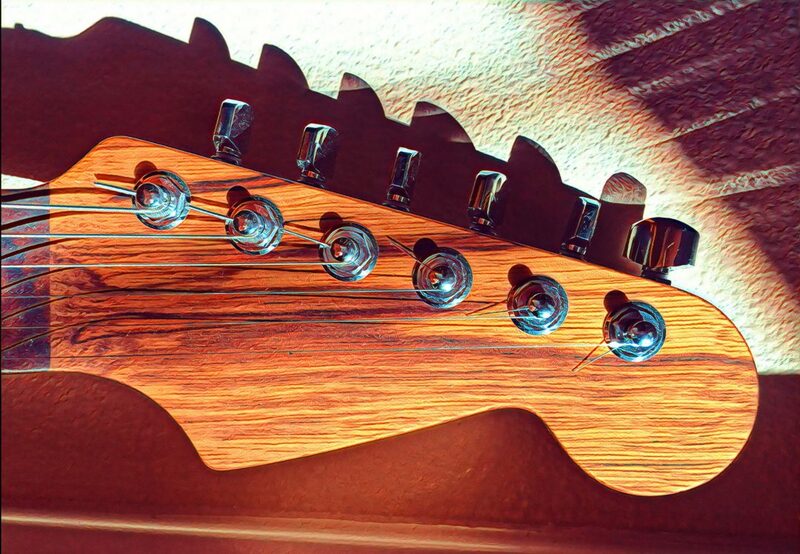 I rounded off several pickguard screws and I broke two screws, one of which I wrote about. The other broke off halfway out of the wood and was easy to extract through the use of a big wrench. And yes it is true I was screwing into a solid maple guitar body, and maybe there’s a reason people don’t build guitars from maple but still, I think one needs to ask why these screws are breaking? Or rounding off? And no, it is not because I am cranking too hard. As I mentioned in the first article on the broken strap holder screw, the screw was not even close to snug when it sheared in half. The strap holder could still be pulled away from the body. Sidenote: the technical term for rounding out the phillips end of the screw is a “cam-out”. This is a bit like referring to an explosion as an “energetic disassembly”. This is a very interesting article about screws and all the more so because the author conducts an interesting experiment (driving a variety of screws into undrilled maple) to determine whether all screws are the same. And though this may be hard to believe, it turns out most screws you buy at places like Home Depot or Lowes actually are complete crap. The reason is that screws are made hard through a process called heat-treating, which adds steps and costs to a manufacturers process. Hence not all screws are heat treated. In the test, the non-heat treated screws all broke. Yes, literally all of them. And it is not easy to find hardened screws. I went to Home Depot for example, because they sell a brand of screw called SPAX which is not only heat treated but is advertized as being so filled with awesome that it is not only self-tapping but self-drilling and works in hardwood. But their SPAX screws are in a small section and they didn’t have the #8 1-3/4 screws that I wanted for attaching a neck. And all the rest of the screws they sold were some brand which, if you look closely, have a “made in china” stamp. Now you know those are going to be crap screws. Which brings me to StewMac and Warmoth, both places who have supplied me with hardware which FAILED. I am convinced they are paying zero attention to the screws they supply with their neck plates and strap holders and bridges. Why? Because those screws all failed in some way! How much extra work would it be to spec heat treated screws for their parts? How much extra cost would it add? $0.05 per screw? If I ran those places I would make that change. As it is, the screws they sell are a potential liability. I will update this post as I find more premium screws which don’t break when you use them as they are intended to be used. But here is a starting point. Self-drilling screws which use modern engineering designs and also use hardened steel are built by at least these two companies: SPAX and GRK. SPAX screws are available at Home Depot. Both brands are available online at McFeelys. Previous: Previous post: Screw extraction – ahh forget it.